According to experts, kids need at least 60 minutes of physical activity per day. But most Canadian children fall well short of that. 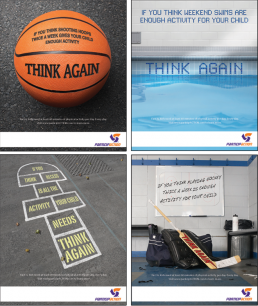 So let’s jolt well-meaning parents out of their complacency with a simple, provocative campaign (print, TV and digital) – one that delivers a strong message, without breaking the bank.